Using VB6 /COM+, we have written a report that uses dynamically created controls. When this report is run through our application it creates HSS*.tmp files in addition to the ~D...*.tmp files. In some cases the HSS file ends up at zero bytes. In other cases, its several MB and not going away. 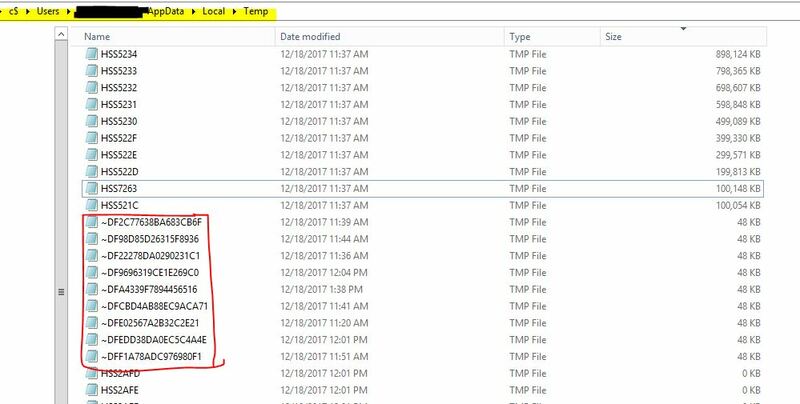 We see these files in the C:\windows\users\<username>\AppData\Local\Temp directory on a server we use to run jobs as 'tasks'. The files are eating up disk space and causing huge problems. I am unable to replicate the issue at my end. Please refer the attached sample. Could you please share the sample to replicate the issue at my end.